We always want to do good deeds for people, friends, society and the world, but we never ask ourselves why we want to do good for the world. Many people have various answers to this question. Some say that they want to leave this world as a better place. Some say that it is the reason why Man is considered as a Social Animal. Some people feel that doing bad things brings about mankind’s destruction and, in turn, the world. Some people feel that it’s the ultimate source of happiness and joy. Everyone has his/her own reason for doing good deeds for the world and all are right. I would say that the answer lies within oneself to discover as to why one does a good deed. We keep doing good deeds regardless of the recognition, respect or love that we get from others. Some people have goodness within them but are scared to show that side to the world thinking that an undue advantage would be taken by the people around them if they did so. Some people need motivation to do good deeds because they have no idea about it. Some people get inspired and start doing good deeds. I would urge everyone to start doing good deeds because it’s our moral responsibility and it takes care of the social wellbeing of all the people in the world. 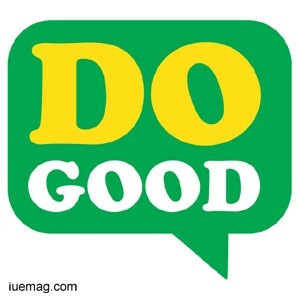 What if a platform existed which recognized, inspired, influenced, motivated people about doing good deeds every day? A platform where we can upload our deeds, appreciate other deeds and encourage positivity in life? This is where I would like to tell you about a wonderful platform which is focused on creating doers around the globe. www.adad.in – A Deed A Day is a social network (website) where you can post your deeds , appreciate others, get appreciated and do more good deeds. This is what exactly the world needs today for social and moral development. With 30,000 plus LIKEs on Facebook and lots of doers on the website which also contains a Demo video, Adad is sure to grow leaps and bounds in the distinct future. Any facts, figures or references stated here are made by the author & don't reflect the endorsement of iU at all times unless otherwise drafted by official staff at iU. This article was first published here on 14th November 2014.